Kenyan and Chinese companies have stepped up efforts to reap from growing bilateral ties between the two nations that are increasingly continuing to host each other’s citizens. Banks, hotels, colleges, realtors, tour firms, agricultural and farm machinery companies, among others, are all in the race to cash in on growing business. “Good news to our clients, it is with great pleasure to let you know that our company is offering a discount of 100,000 shillings (980 U.S. dollars) on any order placed,” said Chinese Huangpai Grain Processing Equipment Assemblers in a newspaper advert on Friday. Such adverts have now become common in Kenyan dailies as dozens of Chinese companies make inroads in the east African nation. Similarly, local companies have aggressively moved to tap into the Chinese market, targeting both citizens in China and those in Kenya. Topping the list of firms seeking to reap from the Chinese-Kenya bilateral relations are commercial banks. The financial institutions are continuing to launch products that target both the Chinese and Kenyans. These products include business trips to China for small and medium-sized companies, yuan accounts, interbank cash transfer services between the banks in China and themselves and forex exchange services. The products make it possible for the Chinese and Kenyans to easily carry out financial transactions. Equity Bank, Kenya Commercial Bank, Stanbic Bank, National Bank and Standard Chartered Bank are some of the financial institutions that have yuan centres that facilitate business for Chinese firms operating in Kenya and Kenyan firms trading in the Asian nation. Last month, the Cooperative Bank, organized a first trip for its business customers to China’s southern city Guanghou. Beijing is another popular destination for Kenyan businesses. The rise in uptake of the services is spurring the launch of others, the latest being mobile money transfer services between the two countries. The product involves Kenya’s leading money transfer service Mpesa and WeChat, China’s premier social media and payment app. Family Bank in Kenya together with global fintech firm SimbaPay are offering the service. Mobile money subscribers will use a given pay bill number that belongs to the bank to send money that would be delivered in the WeChat wallet in China. On the other hand, money send from China would be delivered to the bank. Godfrey Kamau, Family Bank’s chief operations officer, said the service is a milestone for Kenyans who have their kin or do business in China. “This service would boost SMEs as it is a solution that offers instant, reliable, traceable and affordable channel to send money to suppliers in China,” he said, adding that Kenyans in China would also be able to send money using the same platform back home. Moses Etyang, who stayed in China for close to two years studying, noted that the mobile money service would ease the sending and receiving money between Kenya and China, especially for students. “When I was in China two years ago, I relied on banks to receive cash from my parents and the process was tedious because of the bureaucracies involved. That now one can receive money in their phones as it happens in Kenya is amazing,” he said on Saturday. Kenyan Bankers Association chief executive noted that Kenyan banks are scanning for opportunities as ties between Kenya and China grow. “There is opportunity to trade with the yuan that is increasingly becoming relevant in the country. There is a lot of trade now and the Chinese currency is becoming the medium of transacting between various entities,” he said recently. 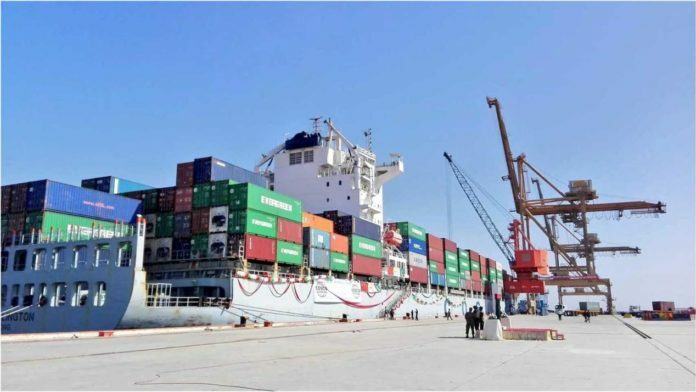 Henry Wandera, an economics lecturer in Nairobi, noted that with trade relations between China and Kenya growing, businesses in the two countries have no choice but to work hard to reap from the ties.